Explore Dallas like never before. 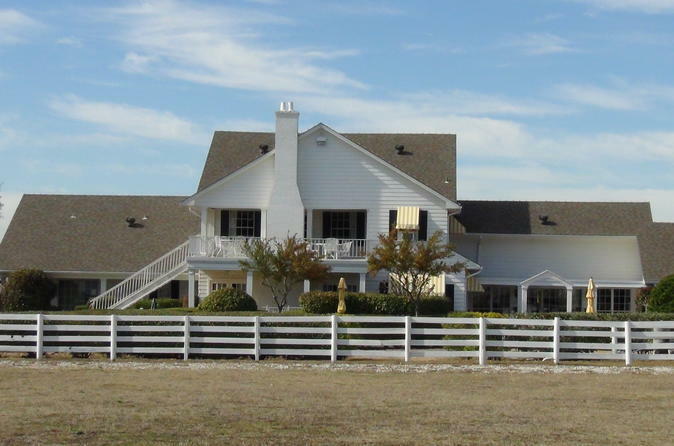 If you are someone who enjoyed the TV show “Dallas”, your tour of Southfork Ranch will be a memorable one. Come see the where the Ewing family called “home”, and see their lifestyle made famous by the watching world. This 3-hour, small-group tour is led by a guide, and has a group size of 11 people. Choose from a 10am or 2pm departure time. If you are someone who enjoyed the TV show “Dallas”, your tour of Southfork Ranch will be a memorable one. Come see the where the Ewing family called “home” and see their lifestyle made famous by the watching world. Take home some collectibles from the “Ranch Round-Up” store in the visitor’s center where you’ll find a wide assortment of items seen on the show and worn by the cast. Enjoy a guided train from the visitor’s center to the Ewing Mansion that will not only provide you with a history of the property, but will give you a chance to see Texas Longhorns and American Quarter horses. The mansion itself is the next stop on the tour. You’ll hear interesting factoids about the filming done there and character insights as you see the “most famous White House” and even J.R. Ewing’s bedroom! After the mansion tour, you can stroll around the ranch and stop at “Lincolns and Longhorns”, where on display you’ll find Jock Ewing’s original 1978 Lincoln Continental as well as “Dallas” inspired clothing and accessories.